With the refreshed SR20DET drivetrain sitting in the engine bay, it was time to begin to get all of the accessories hooked up in order to allow my S13 to fire up once more. While the donor car I purchased included a number of the items I needed to get my car running, there were several components that were a bit too banged up to use safely without concern for reliability. The intercooler included with the rusted-out donor car had definitely seen better days. 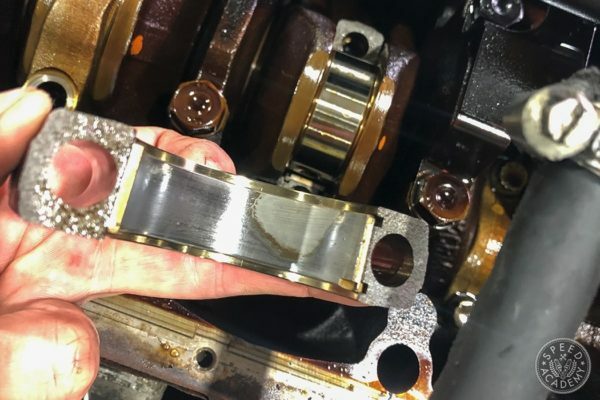 The setup consisted of a generic core that had taken one too many hits on the drift course combined with a few random pieces of piping that had been crudely welded together to complete a path from the turbocharger to the throttle body. It’s surprising the car was able to build boost at all with this setup in place. 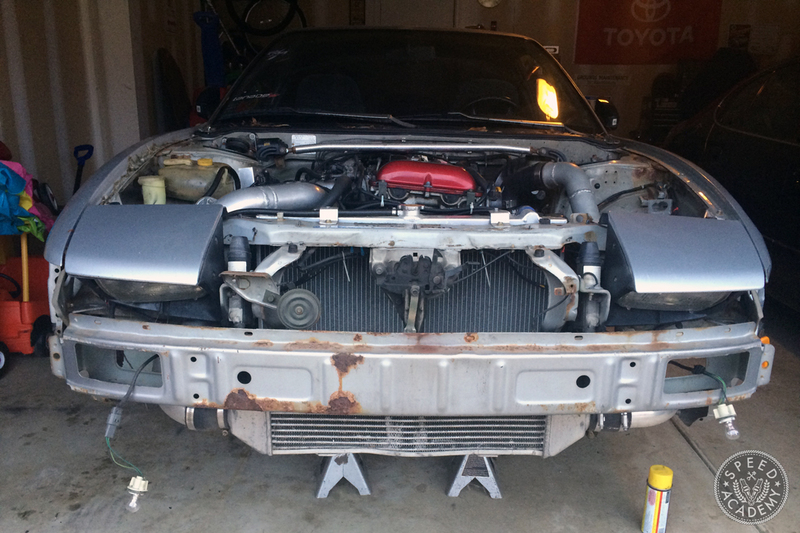 In my quest for cooled air, I hit up my friends at Turn 14 Distribution to source a GReddy Spec LS front mount intercooler kit for the 180SX. 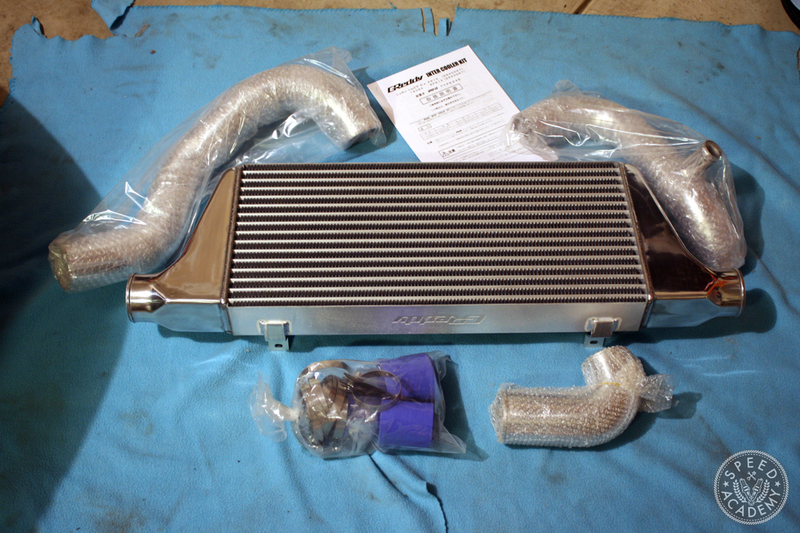 With all of the knock-off and low quality intercooler options out there these days, it’s surprising that more people don’t turn to this affordable kit from Greddy. The Spec LS kit features a large polished core with mounting brackets, hot and cold piping, couplers, clamps, and mounting hardware. 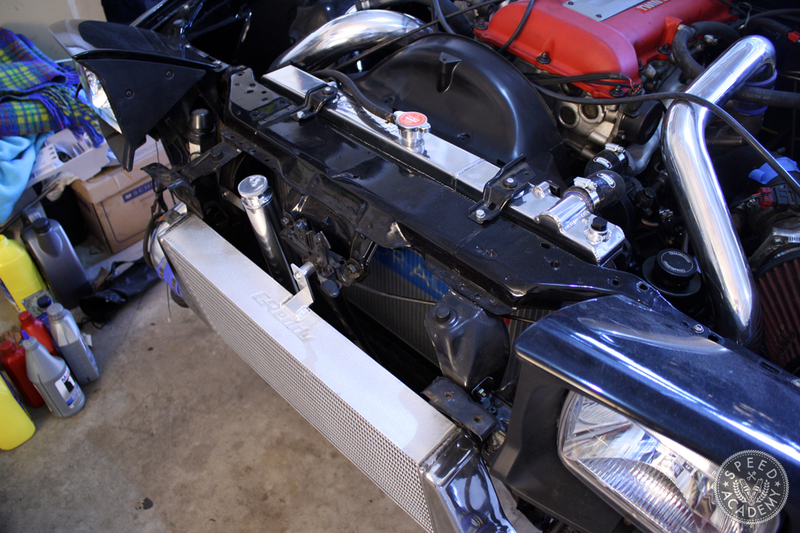 The fit and finish is superb, making this a perfect bolt-on solution for any SR powered S13. This is the same intercooler setup I ran on the car during my previous build making installation a breeze, but everything fits so well that anyone could bolt it up in an hour’s time. Another item that needed replacement was the car’s radiator. A low-budget eBay aluminum radiator was included with the donor car as well as a set of crudely wired electric fans. 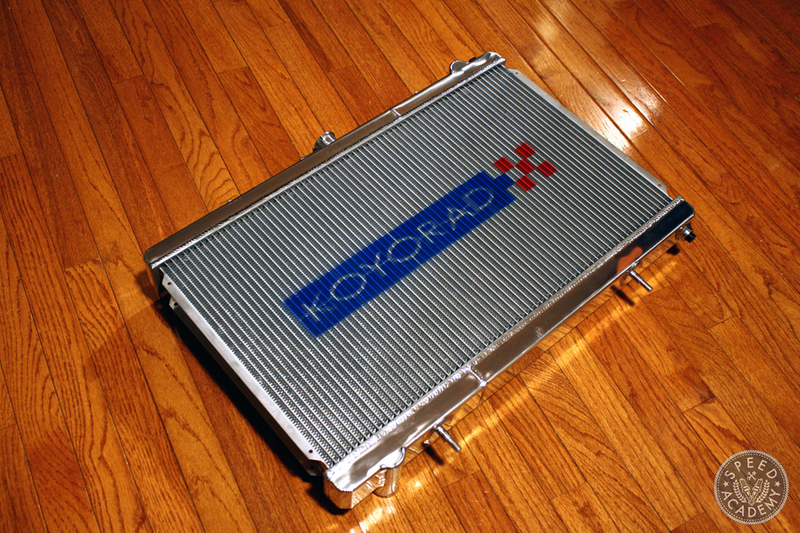 When it cam time to choose a replacement radiator, I went with what is arguably the best in the business- KoyoRad. 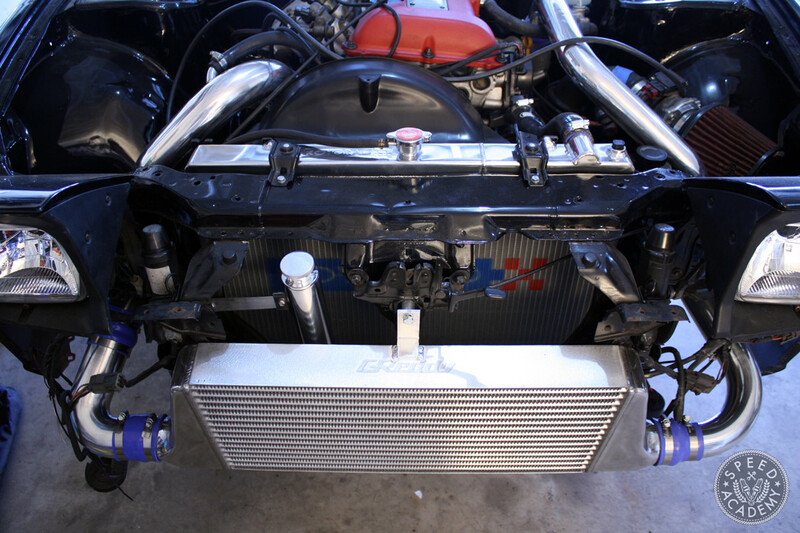 Koyo offers a number of different radiators for the S13 depending on which engine you are running. The Koyo R series radiator features an all aluminum core that is thicker than the factory radiator, flanked by polished aluminum end tanks that add some serious bling to the engine bay. In addition to the increased cooling capacity, the Koyo still manages to utilize the factory mounting points for a clean and straightforward install. 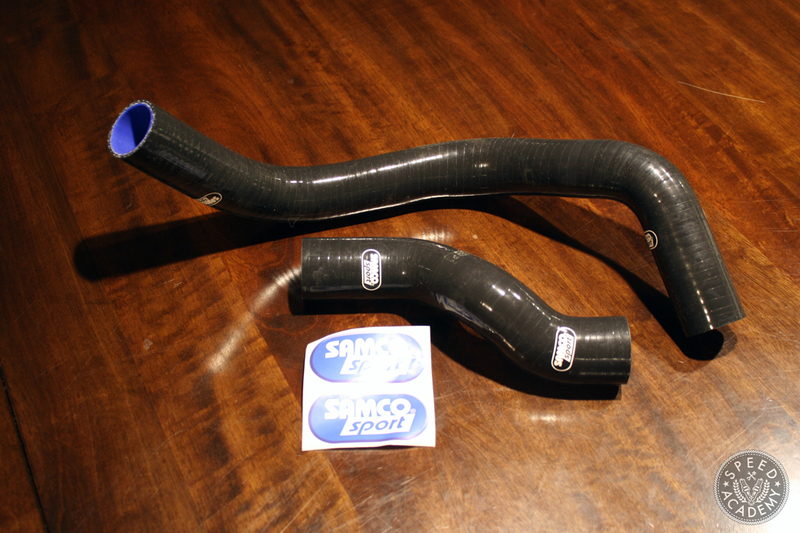 My radiator hoses had seen better days, so I elected to replace those with a pair of black Samco silicone high temp hoses for increased durability. When it comes to keeping an SR cool, I prefer to stick with the OEM clutch fan and shroud. The amount of power lost from the drag it creates is negligible when compared to the reliable cooling this setup provides. 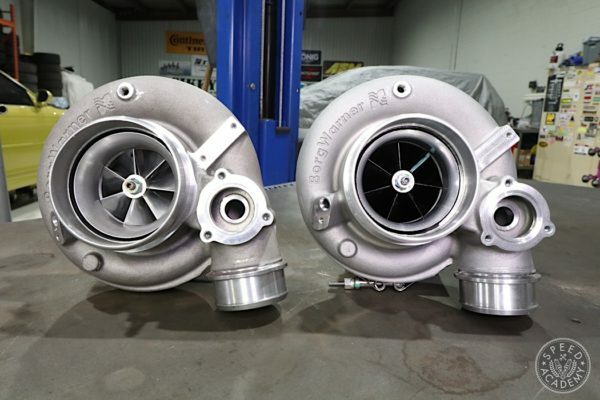 As mentioned in a previous installment, I sourced an OEM SR20DET clutch fan and a brand new shroud from my friend Russell at NissanParts.cc to replace the low-end electric fans that came with my donor car. With all of the cooling components in place, I need to take care of the hot side of things by installing the exhaust system and other engine accessories. There’s not much more to do before the car can be fired up for the first time in years- come back to the site shortly as another update is on the way soon. Looking good, Damon! 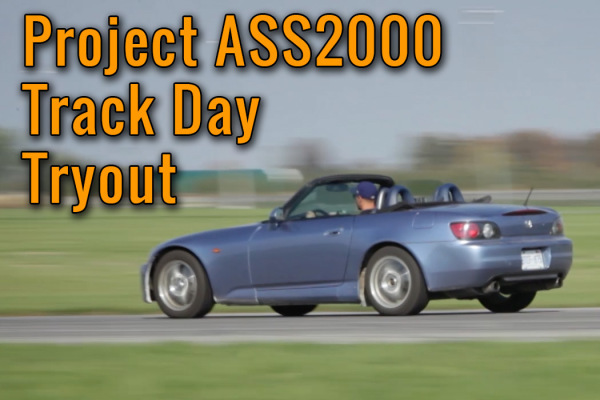 What are you going to tune the ECU with once it’s all bolted up and ready to rock? 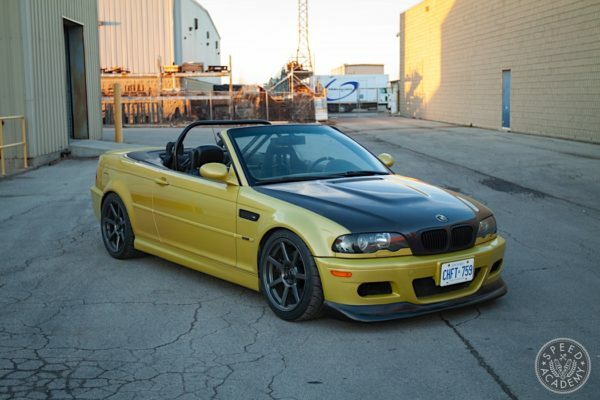 Is she gunna be a drift car or strictly a street car? Either way, it’s nice to see a clean and realistic S13 build. Keep the updates coming! 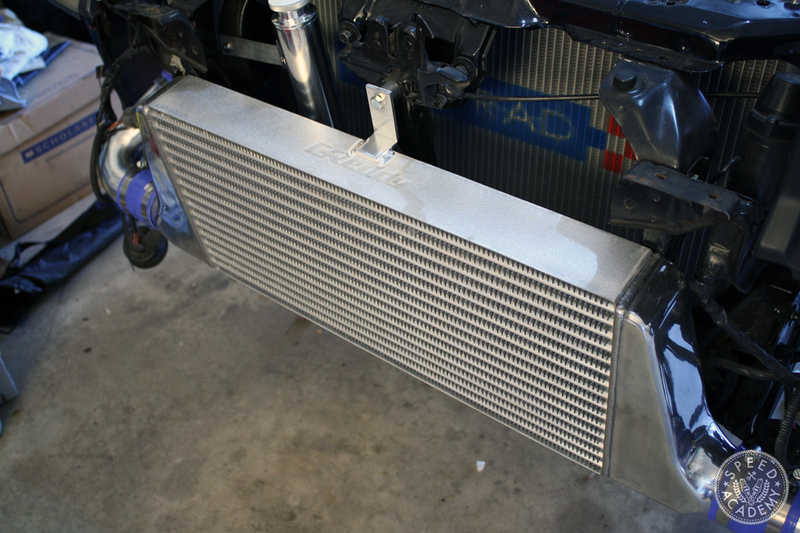 Are you going to build ducting that will direct the air flow from the intercooler into the radiator? I read that doing this will help you keep your temperatures under control a lot better. @Ryan That would definitely be cool! I am sure it would help a lot. I’ve never used anything like this on the car before and haven’t had issues with cooling, but that doesn’t mean it wouldn’t benefit from something like that. It hasn’t seen a lot of track time either but I am sure those temps would be much higher! @Graeme Steiner Thank you! Since my setup is fairly stock right now with minimal engine upgrades, I should be able to continue with the stock ECU untuned. In the past I have used an Apexi Power FC with a more heavily modified engine and had great success. 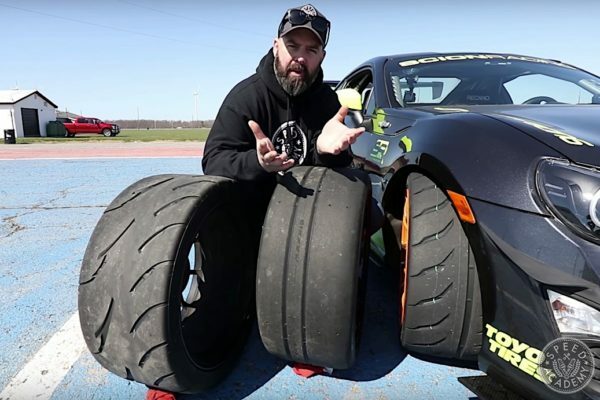 I would really love to try drifting at some point, but I am always concerned about damaging the car. It will primarily be a street cruiser, but I’d really like to give it a try someday!